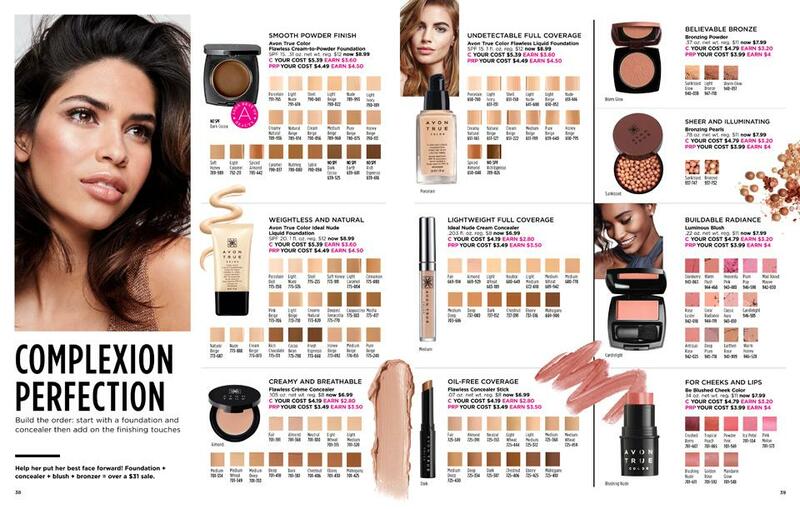 August 12, 2018 January 11, 2019 Nicole M.
Just to give new Avon representatives an idea of the type of discounts that Avon offers (and those thinking of selling Avon) here are the Avon Demos – Avon What’s New that representatives can buy in Avon Campaign 19. 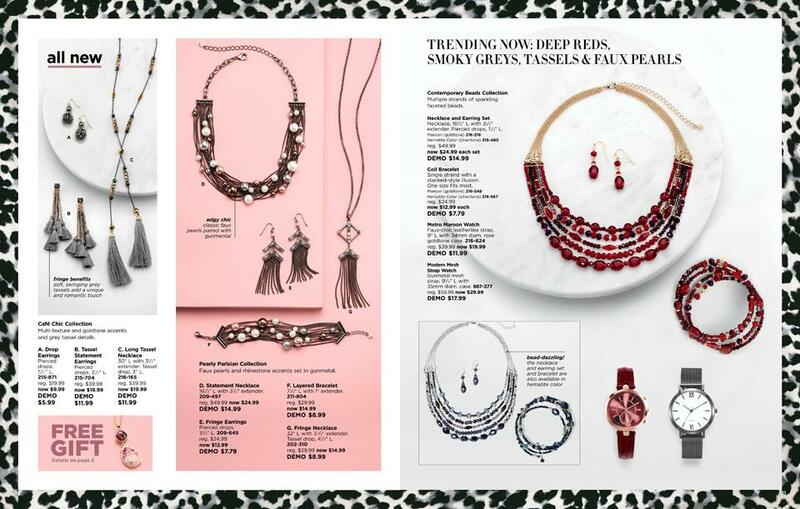 At the start of each new Avon Campaign, only Avon Representatives have access to shop the “What’s New” Avon Brochure. 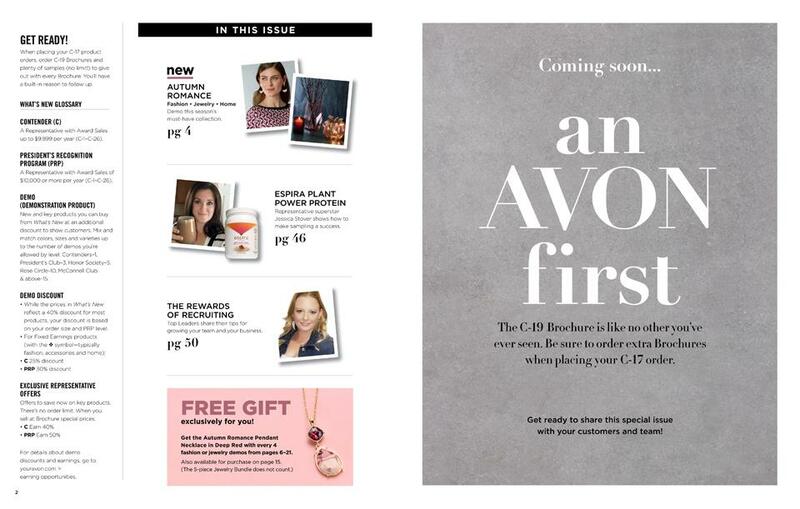 What is Avon What’s New? 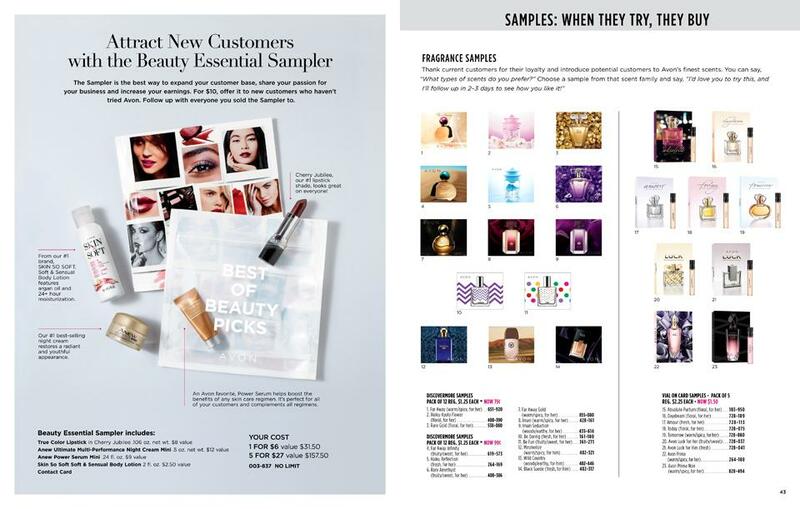 Avon “What’s New” is the favorite of all the brochures and flyers because Avon Representatives may order what’s called a “demo” at reduced demo prices. 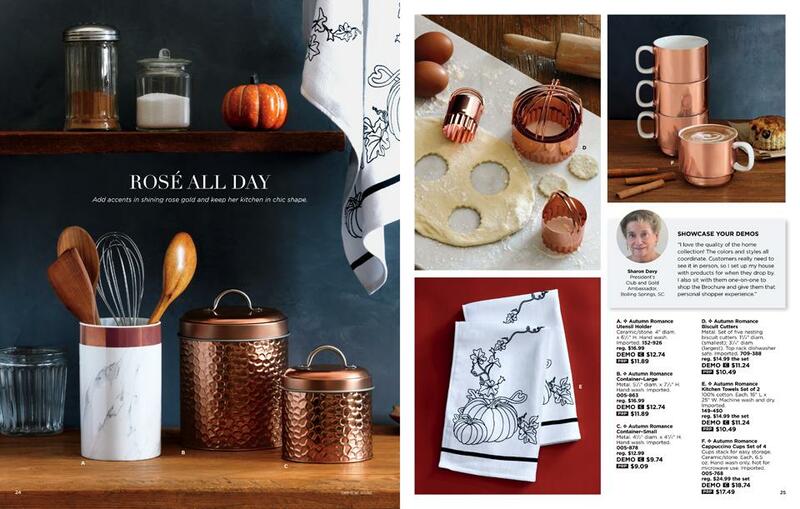 These eligible items are great for throwing home parties, stocking up on product, and doubling their commissions. 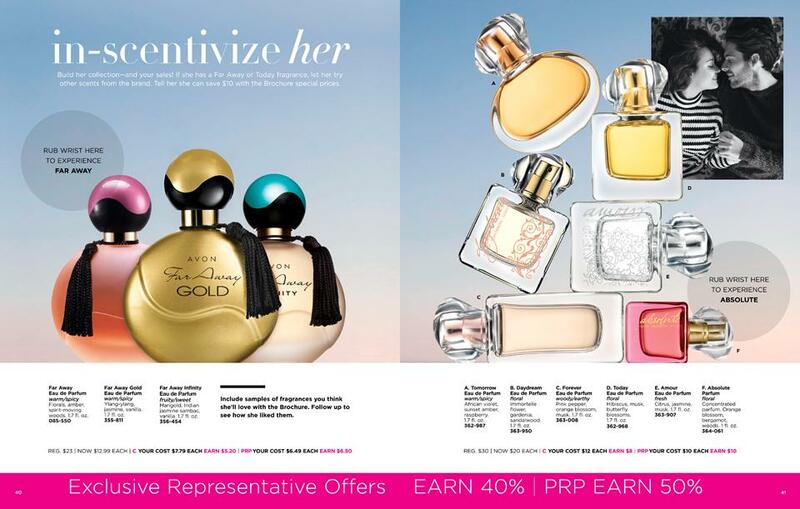 For example, the following pages show the latest Avon campaign brochure. 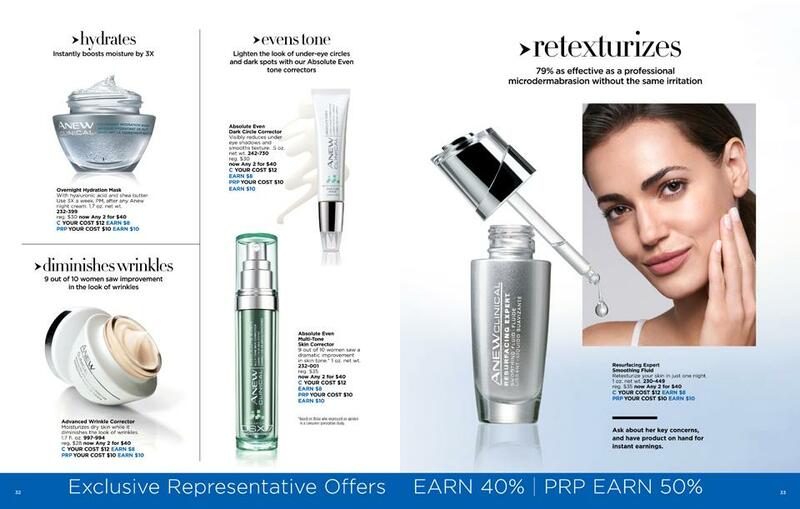 The Avon brochure demos can be shared with customers if your focus is selling Avon online or kept for personal use. 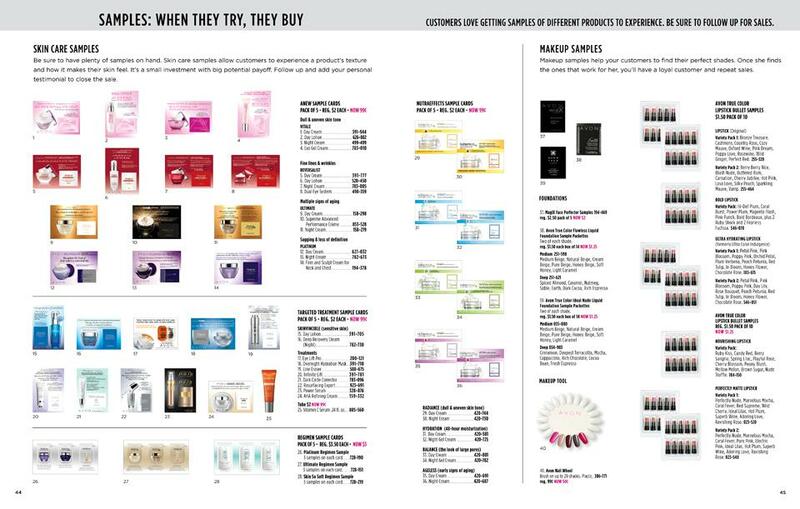 The most unique feature of the AVON “What’s New” brochure is that for each item, Avon lists the cost for the customer, the cost for the Avon Representative, and the earnings when Avon Representatives purchase the demo for themselves. 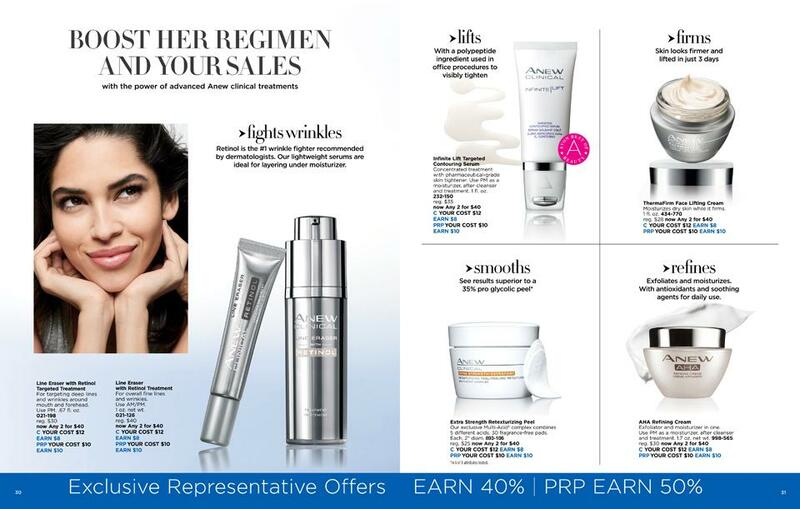 The best Avon reps can then resell these demos thus earning them up to 75% back in commission. 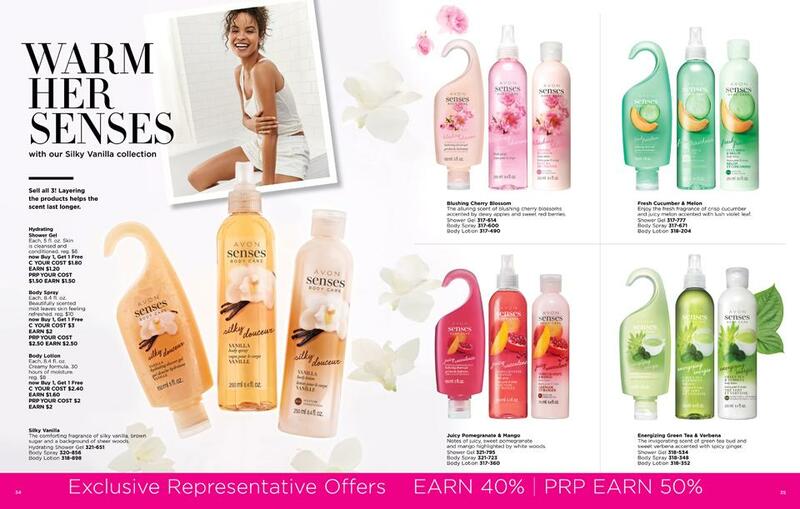 CHECK OUT THE AVON WHAT’S NEW PAGES HERE. 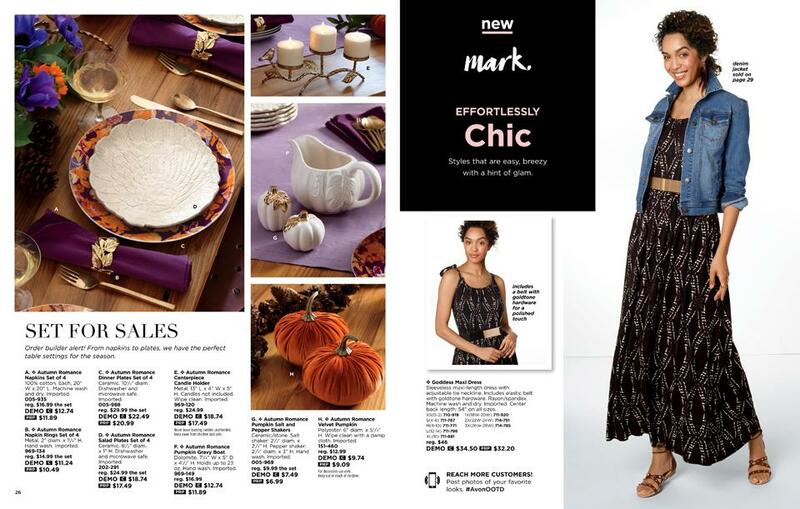 In the Avon Campaign 19 Brochure Online, True Color Lashes and Espira are featured demos. 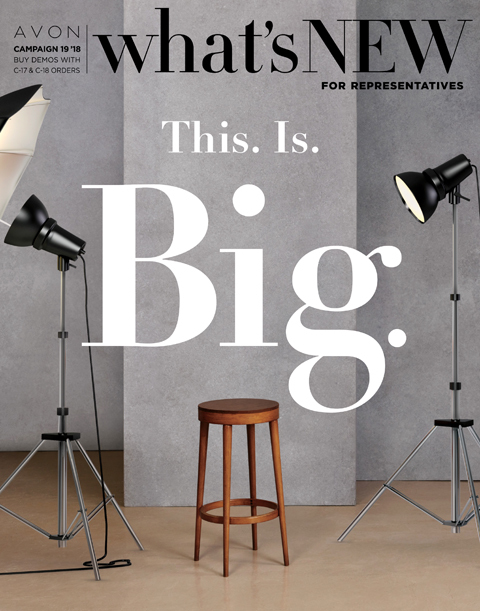 C19 BROCHURE – TOTAL REPRESENTATIVE TAKEOVER!! 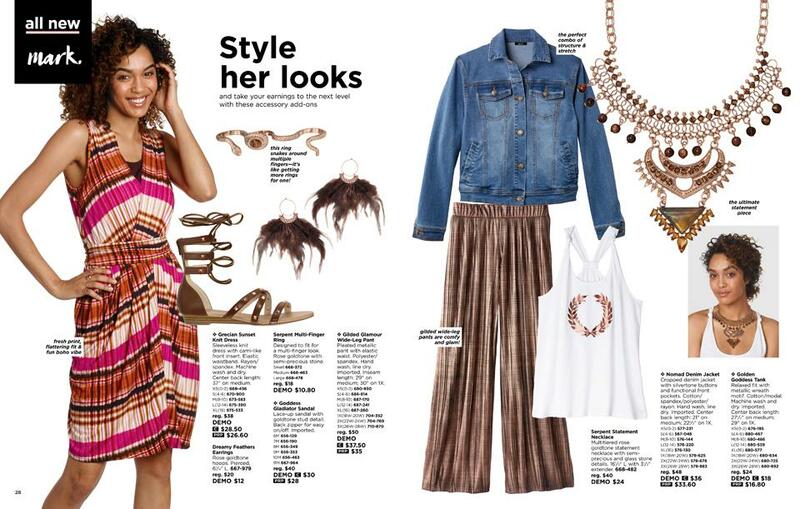 Living the Boss Life never looked better, more beautiful, more fun or more possible! 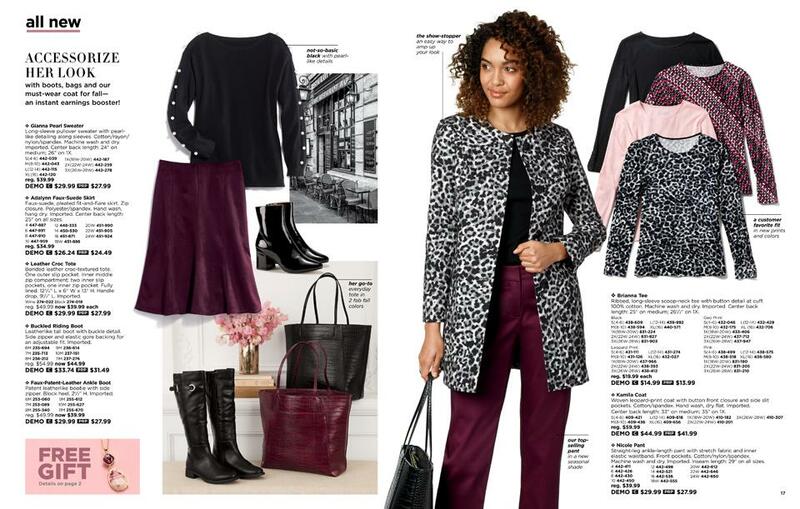 Not only are Avon Beauty Bosses rockin’ the Boss Life on ALMOST EVERY PAGE, but they are modeling the new Fall for Paris Fashion Collection with gotta-have-it style! 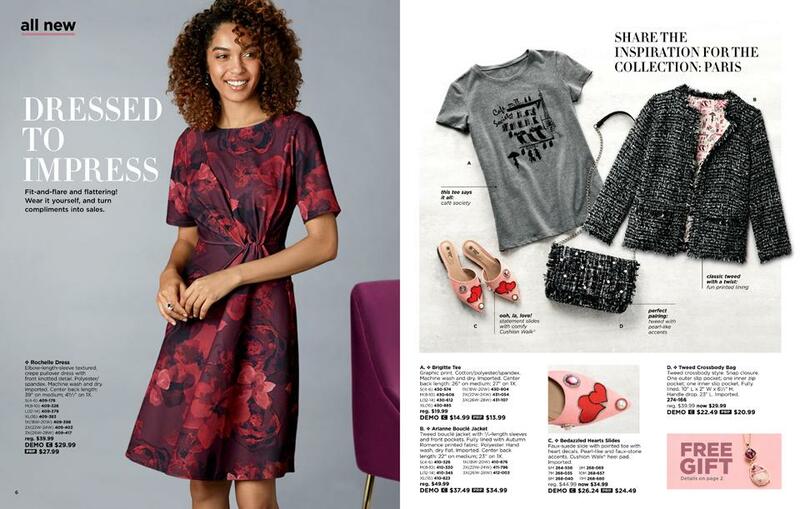 Every page of this Avon Campaign 19 is full of actual Avon Representatives modeling all things Avon! 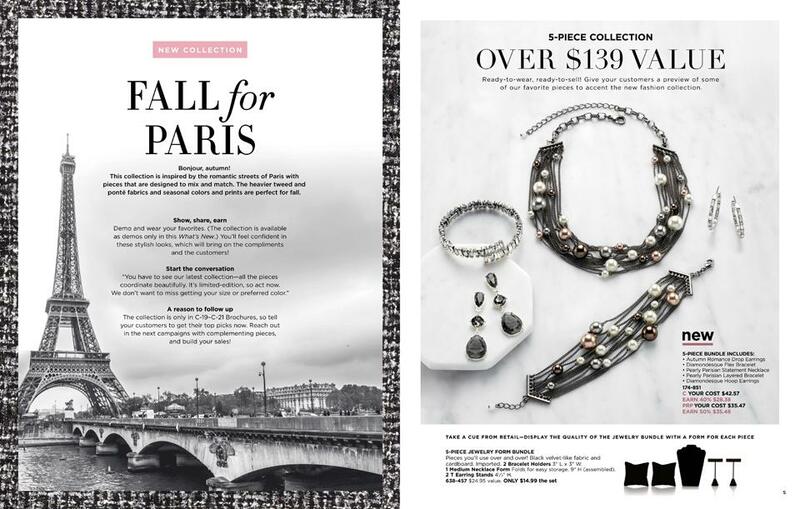 Just in time for Fall, Avon’s newest limited edition fashion collection is inspired by the romantic streets of Paris. 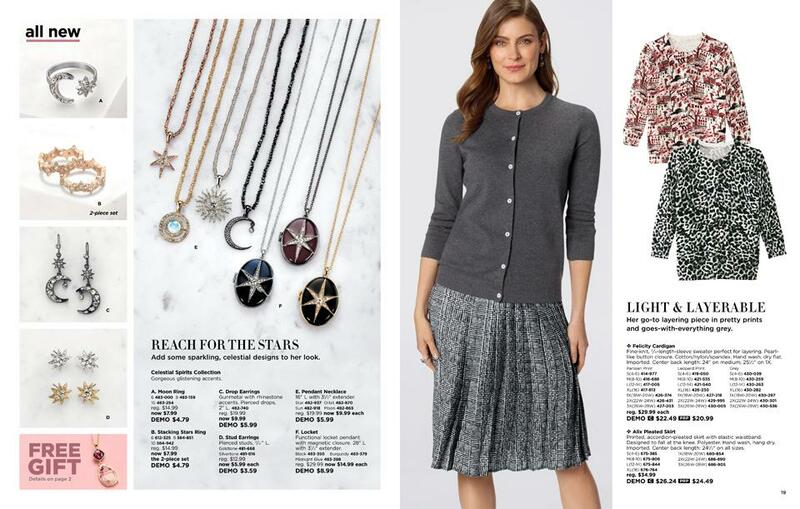 With heavier tweed and ponté fabrics, these mix and match pieces offer seasonal colors and prints perfect for autumn. 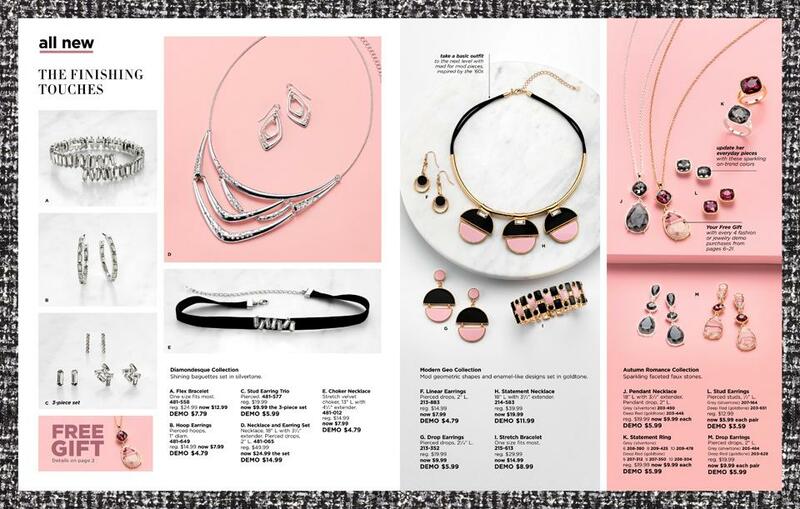 Don’t miss the 5-piece jewelry bundle in What’s New for 40% earnings off all Fall Collection items. 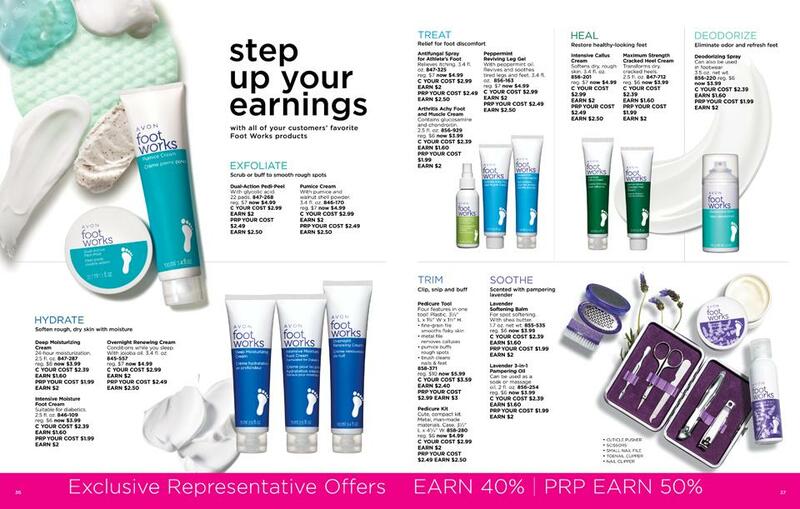 The way commission works as an Avon Rep is the higher your order amounts, the higher the earnings. 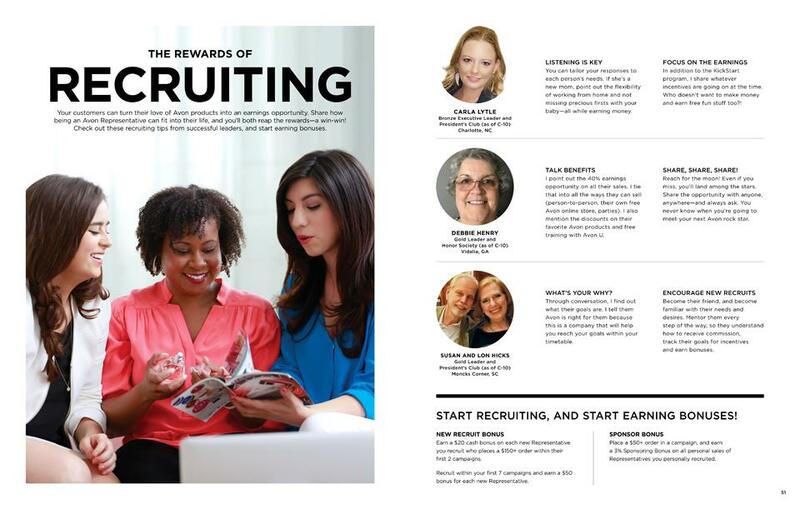 In Avon What’s New, Avon reps are able to receive “double” earnings. 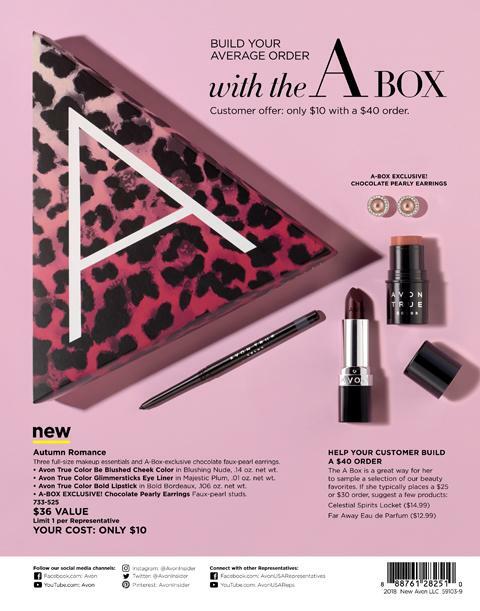 For example if the item costs $30, an Avon Rep could earn gain $60 towards their order total, instead of $30. 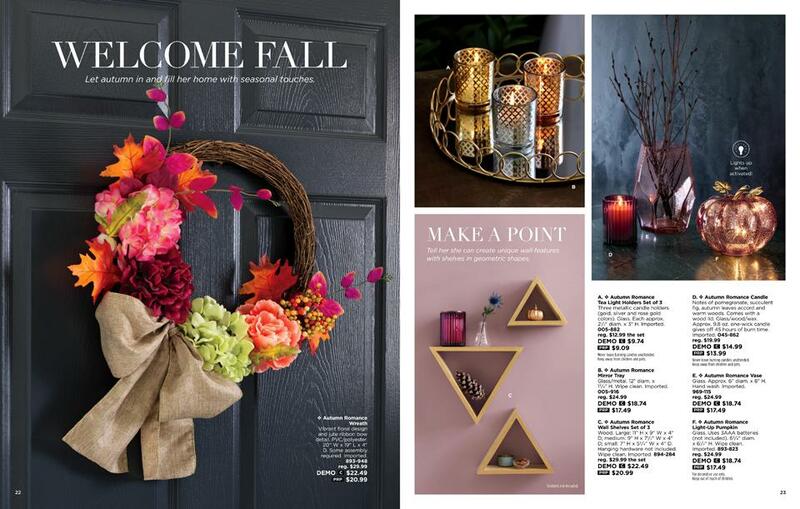 We love this option!!! 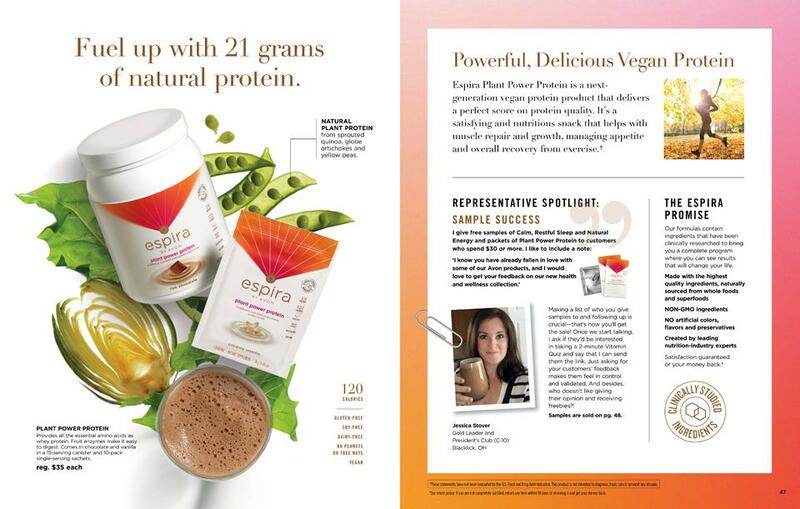 Fuel up with 21 grams of natural protein! 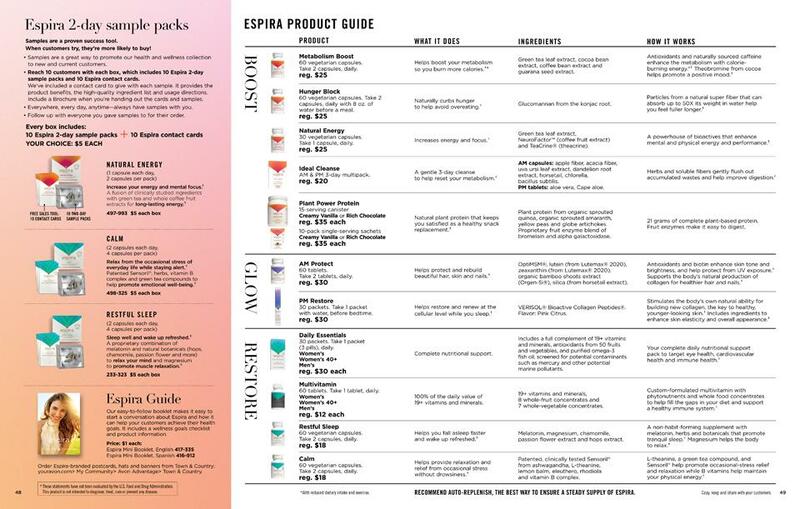 Besides being a protein powerhouse, Espira Plant Power Protein is a satisfying and nutritious snack that helps with muscle repair and growth, managing appetite and overall recovery from exercise. At only 120 calories per serving, it is easy to digest and gluten, soy, and dairy-free. Available in vanilla and chocolate! So yummy!